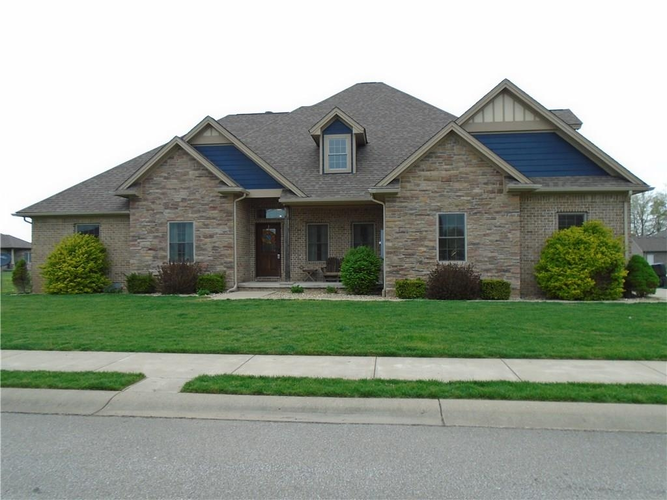 Enjoy this spectacular and spacious 5 Bedroom home without losing that quaint, cozy atmosphere. This is the perfect time of year to take advantage of the outdoor kitchen space..how rare! When the weather turns cool, the outdoor fireplace is perfect for extending those evenings on the covered patio. This builder had both space AND design in mind when creating the gourmet kitchen with pantry, center island, breakfast bar, breakfast nook, and an abundance of cabinetry. The master suite is truly exquisite and well thought out with double vanities, whirlpool tub, tiled walk-in shower, additional storage, and an impeccable walk-in closet with direct access to the laundry room. Directions:West on Hwy 50 from Seymour-Left onto 600 E at flashing light. (just past Snyde Acres) Right onto 200 N, Weslin Estates on left.